Ross McCormack netted twice for Fulham and Moussa Dembele added another in the second half as they comfortably disposed of nine-man Sheffield United 3-0 in their Capital One Cup second round clash at Craven Cottage. The visitors made 10 changes from the side that overcame Blackpool over the weekend, with captain James Wallace the sole survivor, while their Championship opponents kept eight of the same 11 that started against Huddersfield. Former Millwall midfielder Martyn Woolford almost opened the scoring for the League One side on four minutes, when his shot from the edge of the box forced goalkeeper Andrew Lonergan into a low save to his left. 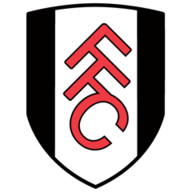 Fulham were able to get a foothold in the game, and Ryan Tunnicliffe hit the crossbar after 12 minutes, following a square pass from Lasse Vigen Christensen. Both teams appeared keen to test their opposing goalkeepers with efforts from outside the box, both Marc McNulty for the visitors and Christensen for Fulham testing Lonergan and George Long respectively. Dembele came close for the Cottagers on 25 minutes when he latched onto a pass from Kay Voser, but pulled his shot from the left hand side wide of the far post. Chances for both sides became more sporadic, with Fulham having the better of possession but their visitors holding firm. Captain McCormack carved out the first chance of the second half, with a shot from the edge of the area that was a routine collection by Long. Fulham were dominating possession more and more, and were testing Sheffield United with their pace. The Blades were finally undone when McCormack was tugged back after attempting a 62nd minute bicycle kick by Craig Alcock - the captain made no mistake with the resultant spot kick, sending Long the wrong way. The goal appeared to lift the home side, who pressed for a second goal to effectively end the tie, although Dembele was guilty of two wild shots on 67 and 70 minutes. It was left to McCormack to finally extinguish any hopes of United progressing in the competition, when with 15 minutes of the game remaining, he was able to drive from just inside the right-hand side of the penalty box low past the outstretched arms of Long. A 77th-minute bullet header from Dembele was saved by the outstretched hand of the visiting goalkeeper. 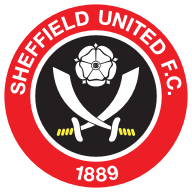 Sheffield United were reduced to nine men late on, with Jose Baxter dismissed with two minutes remaining for a lunge on Tom Cairney, and Kieran Wallace after a professional foul on Dembele in injury time. Frenchman Dembele was rewarded with a goal right on the final whistle with a fierce low shot from 20 yards out.